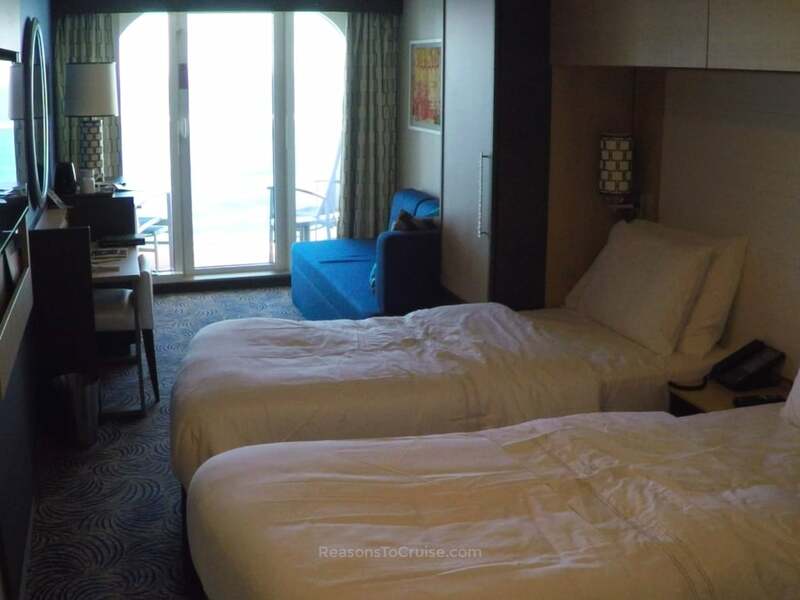 Royal Caribbean describes cabin 12652 as a "Superior Ocean View Stateroom with Balcony". 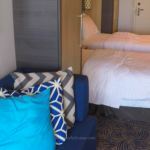 The D5 grade cabin is fairly standard on Anthem of the Seas, with a modern, stylish décor and enough space for a family. 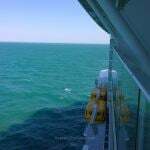 The cabin sits slightly to the aft on the starboard side of the ship. 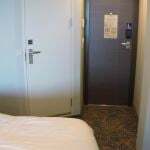 It is mere steps from a bank of elevators meaning everything on the ship is within easy reach. The cabin features two twin beds that convert to Royal King bed, a sitting area with a rock solid sofa, an en-suite shower room and a private balcony. 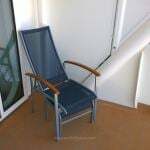 According to the brochure, this grade of cabin measures approximately 18.4 square metres (198 square feet) while the balcony measures about 5.1 square metres (55 square feet). 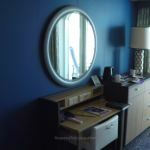 The cabin is well appointed, and I am a fan of the sleek royal blue décor. 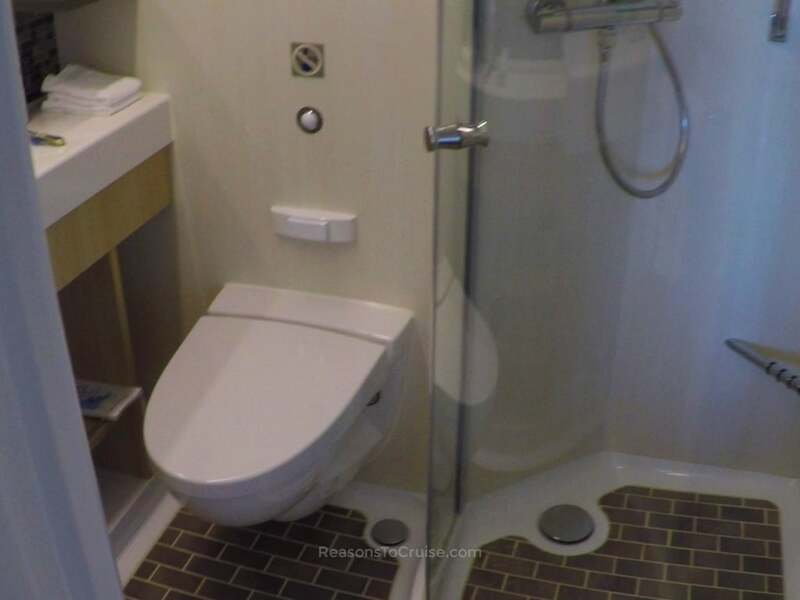 It feels very contemporary, modern and stylish. There is plenty of room in the cabin for two people, and although it would feel a little cramped for a family, it would still be practical. The sofa was rock solid, but I am sure this will soften over time. 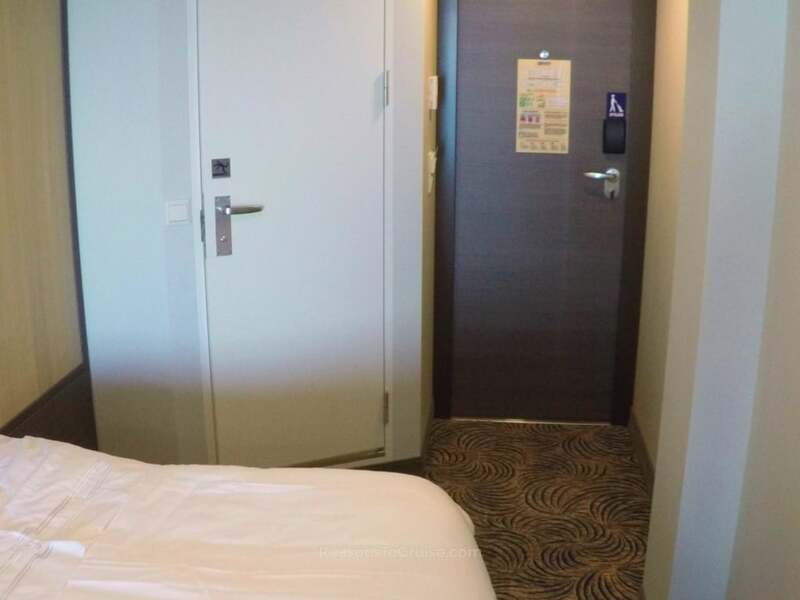 I could not get to grips with the cabin door which opens outwards into the corridor rather than into the cabin. 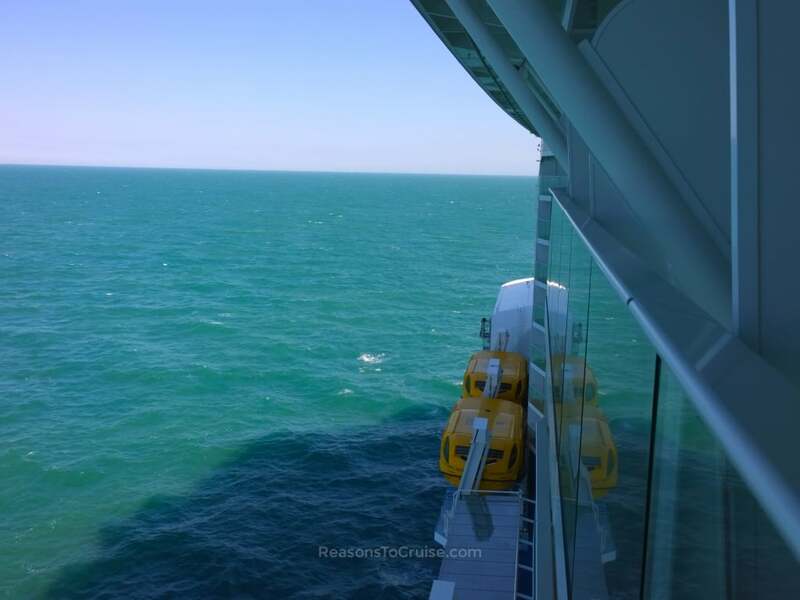 If you have sailed on older Royal Caribbean ships, expect to find yourself pushing instead of pulling. The USB charging sockets are a significant benefit. While there are two sockets, I would have liked to see at least four. Gadget-obsessed families may squabble over who gets to use the outlets first. Regular plug sockets are also available. 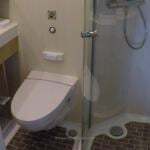 The bathroom is a great success too. The footprint feels the same as on other ships, but small design tweaks translate into an air of spaciousness. I loved the feeling of space that results from the slender sink and vanity counter and the transparent glass-fronted shower cubicle. The balcony, equipped with two chairs and a small table, is a lovely tranquil space, and the glass balustrade makes a massive difference compared to a steel equivalent. It is generously proportioned when compared to other new-build cruise ships. Space saving foot stools, stored underneath the chairs, transform them into loungers. 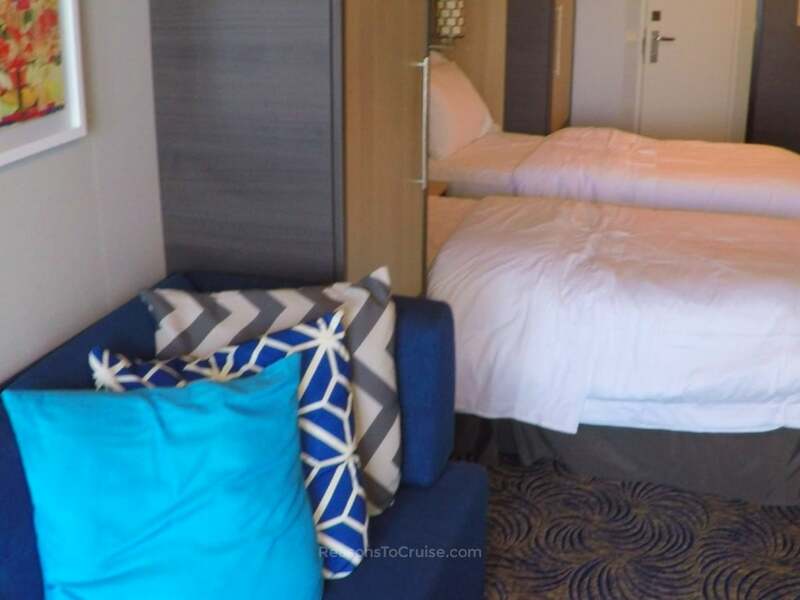 Have you stayed in a balcony cabin on Anthem of the Seas? Tell me what you thought about it in the comments below. 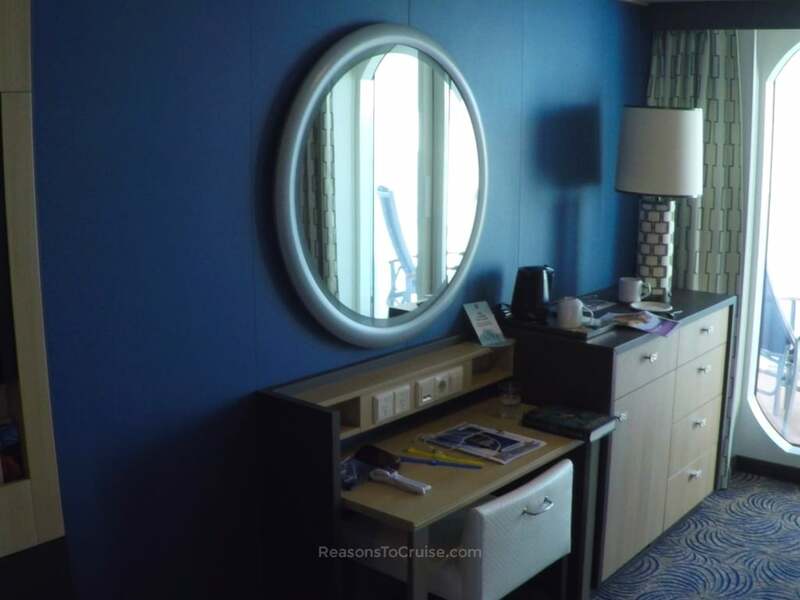 Disclosure: Royal Caribbean supplied a two-night full-board sailing on Anthem of the Seas and port parking at Southampton. I paid for my transport to and from Southampton. My opinions are my own. 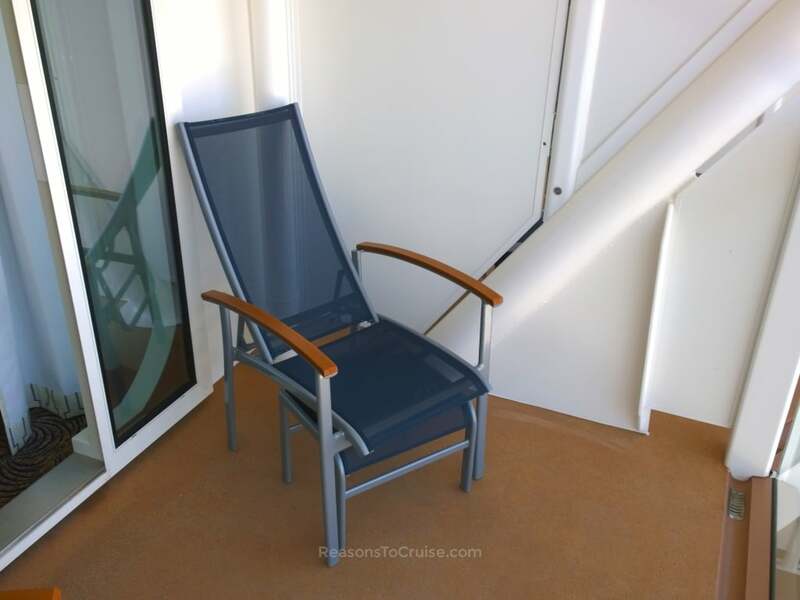 A new cabin décor together with space saving design means this Balcony Cabin feels roomy for two sharing. A family might wish for more floorspace, but it would be adequate nevertheless.